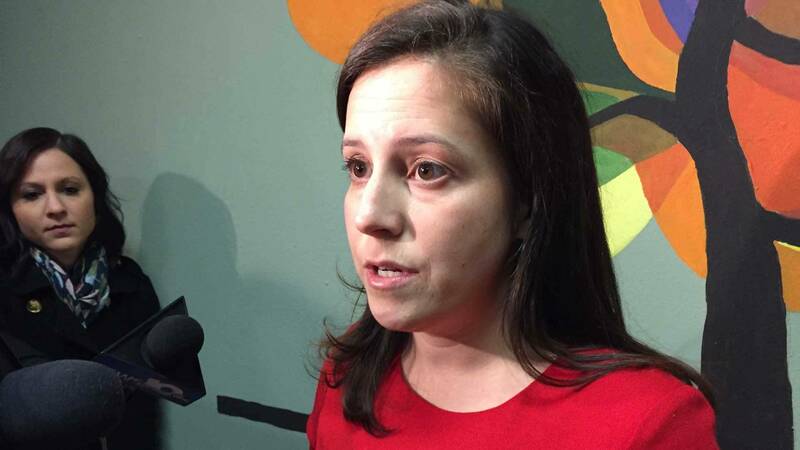 Republican Congresswoman Elise Stefanik had an open forum today in the southern part of her district taking questions from a number of angry constituents and her answers drew a number of boos and even laughter. She has faced criticism for not holding enough town halls in the vast 21st District that spreads from the east end of Lake Ontario to Lake Champlain and south to the foothills of the Adirondacks. She said this was her 16th "Coffee with your Congresswoman" event. The Congresswoman faced questions ranging from health care and entitlement reform to climate change and gun control. She did make news stating that she believes embattled EPA head Scott Pruitt should resign amid a number of ethical concerns. Here are two questions she faced regarding money she has received from political action committees and whether it influences her voting, as well as a question on why guns like an AR-15 should be available to the public. Seven Democrats are vying to face Stefanik in the fall, most notably the former MSNBC Anchor Dylan Ratigan.